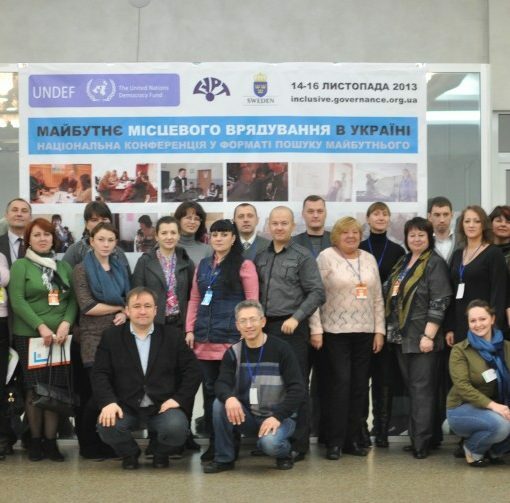 During 3-4th December, 2016, within the 3-day national conference «Societal transformations in Ukraine: information and instruments required for conscious actions» GURT Resource Center organized the event using the open space format. 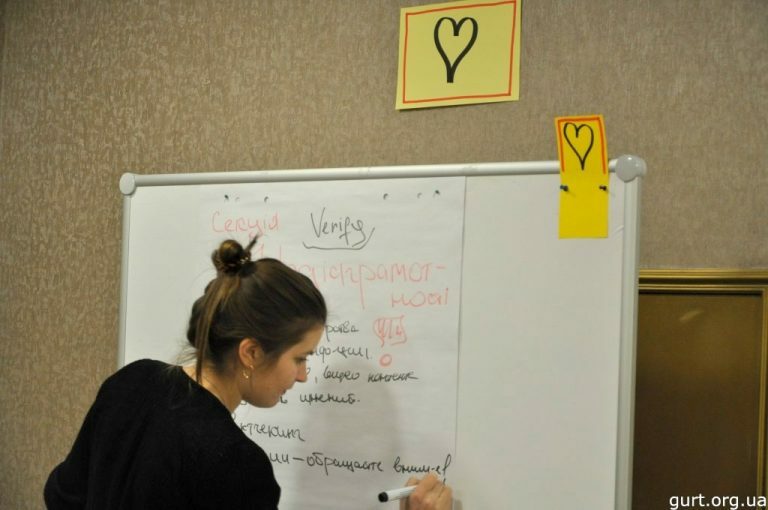 During the conference the participants from different regions of Ukraine discussed the communities’ urgent problems, shared information and experience. Because of the tragic events of the last years, the central topics of the open space were the projects related to the social groups who had suffered from the conflict in eastern Ukraine. The participants have represented different spheres of civil society, their activities are addressed to solving crucial social problems. 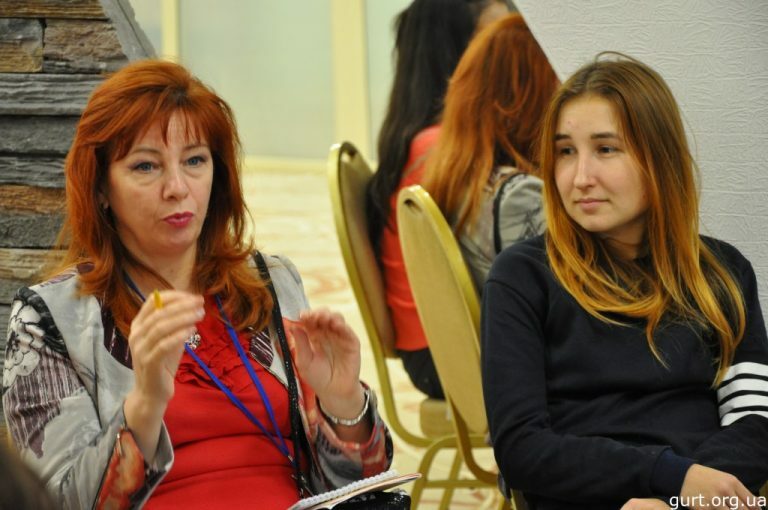 During the conference the participants have formulated and discussed 21 urgent topics, among them: media literacy, formation of mass media on the territories of eastern regions, development of non-formal education and realization of educational campaigns. «It’s the first time I attend the event in open space format, and I like it a lot! We were given freedom and as an organized group of social activists made a move. Discussions in the small groups were passionate and fill with different points of view. At the same time we tried to find something in common to consolidate the people. Consequently, we have found out how to conduct the informational campaigns in order to stop using abbreviation IDP (internally displaced person), for example, and start respecting a person with his or her experience. In close future we want to carry out «I am Ukrainian» event, in order to consolidate the society», – Diana Babova, the Head of charitable foundation «Halar», told. The participants were united into 6 working groups, according to their interests and in order to have more effective discussions. Despite of the new format the participants immediately joined the discussions and started looking for the important problems resolutions. «Describing the event I’d rather say it was unusual. Trainings are usually associated with a mentor who walks and says what other people should do. Unlike this the open space is very special, because people discuss the topics that are urgent to them. 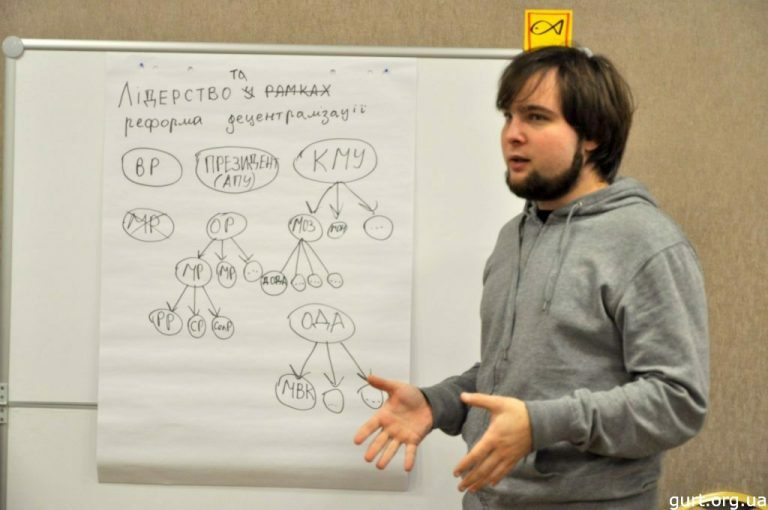 I would like to look at the results of it and in which way the potential of the participants from different regions of Ukraine can be realized», – Oleksiy Svid, a volunteer and a journalist of «Hromadske Kharkiv», explained his impressions. The conference consisted of 5 discussion sessions, so the participants might join several different discussions that caught their attention the most. They also had an opportunity to discuss the problem of reporting about the conflict in eastern Ukraine and giving a true account of the conditions and needs of the communities and vulnerable social classes who had suffered from the Russian-Ukrainian war. «I came to GURT’s conference from Kharkiv. It’s really interesting here and the information is very important. The question of migrants is especially close to me, because my family also suffered from the conflict in eastern Ukraine. I think, investing abilities, knowledge and time into realization of the project that will help the IDPs inside the country – is the best decision. 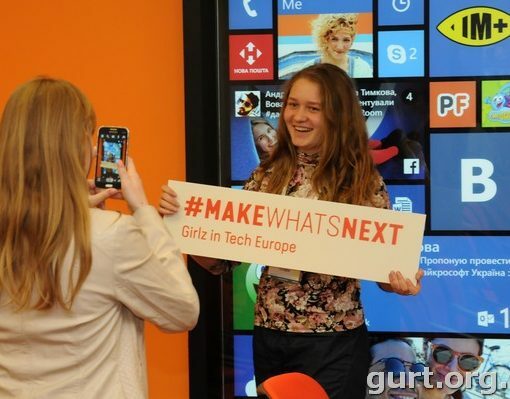 That’s why it is wonderful that GURT coordinates such projects and invites people who are interested to implement them», – Kseniia Shepelenko, GURT’s volunteer, told. 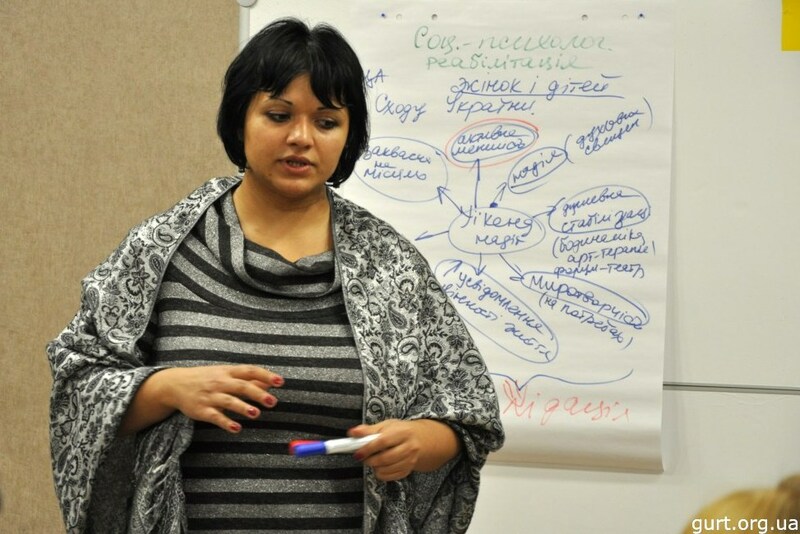 Tetiana Romanenko, the psychologist of the Poltava military hospital, underlined the importance of choosing the topics for discussions: «Open space gave me a new impression of carrying out the trainings for civil activists. I also discovered that it is possible to discuss not only one, but 20 topics at once. Each participant can find a topic that is interesting to him or suggest one of his own. While working this way it is much easier to find like-minded people, to hear different points of view and ways of solving an urgent problem». Civil activists had dynamic discussions and suggested different approaches. 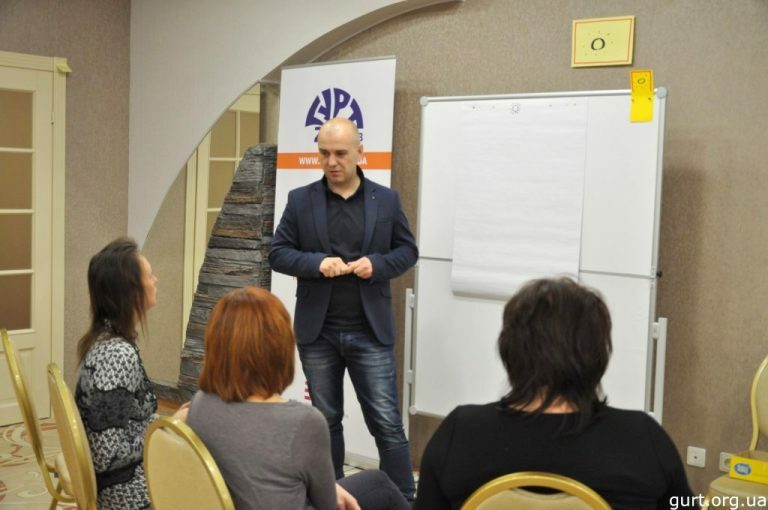 Ihor Reznik, Head of NGO «Life-Vision», the participant of theFourth All-Ukrainian Self-Help School, stressed on the importance of GURT’s conference as a tool of uniting the leaders of civil society: «GURT gathered together many socially active people with some new ideas. I appreciated the idea of open space because many aspects and various spheres are involved into discussion. The great variety of questions and approaches, people look at the questions from different angles, discuss, find out proper decisions. 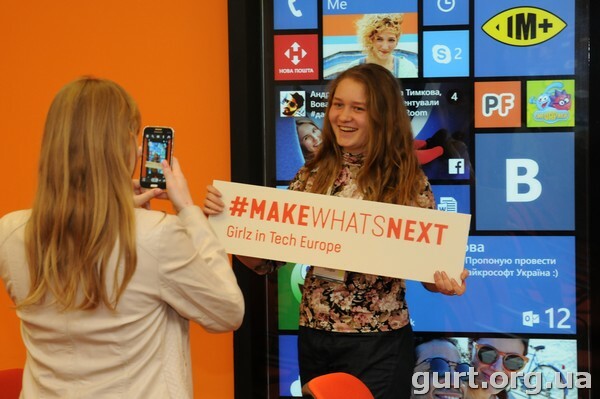 It’s pleasure to see that such events happen in Ukraine, that GURT gathers people who desire changes and better future». The participants not only discussed the questions, but also created project teams to solve some problems. As a result of sharing experience and knowledge the participants created the reports which include the real projects and step of their implementation. The representatives of civil sector formed the project teams and made plans of implementation. 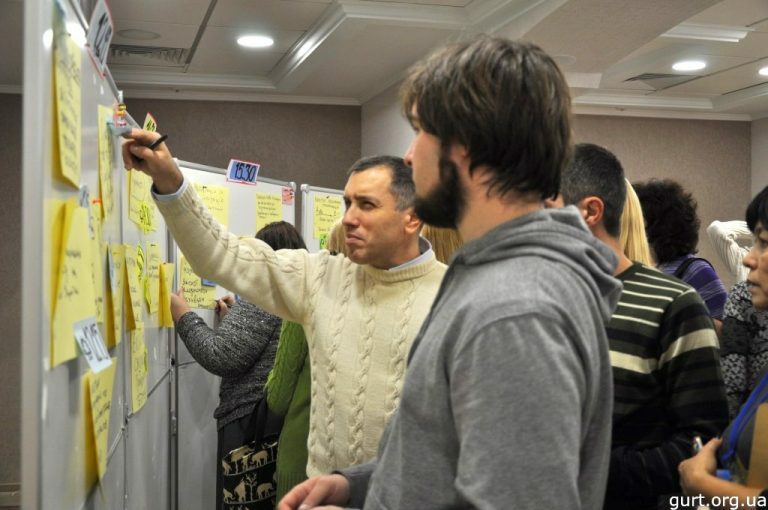 As a result the participants created 20 working groups which plan to implement some important social ideas. 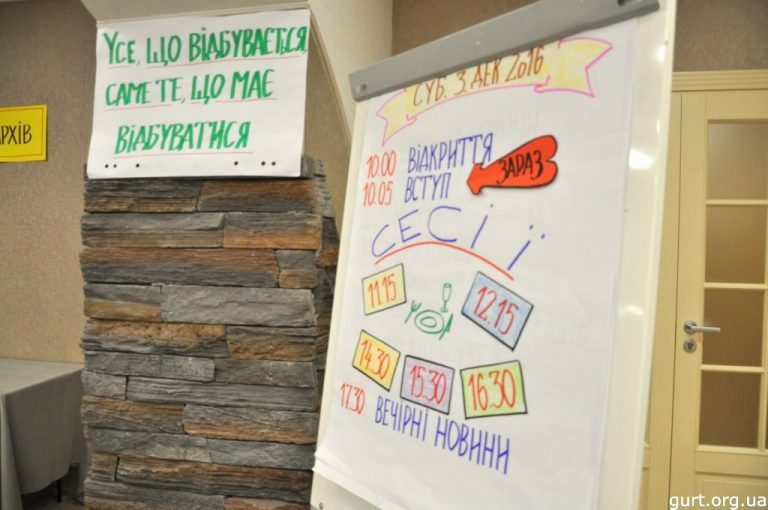 Victoriia Savron, the Head of the Department of social services of Sloviansk city center of social services for families, children and youth, marked the importance of this conference for self-organization: «During the open space we have felt how it is to be the master of your plans. We also asked many questions not pressing on each other’s points of view. It was very interesting to talk with people who have a lot of experience. The open space system is extremely important for self-organization because we don’t have it today, we wait until somebody else will make a decision. During the open space the most important are people. I didn’t think that the method without mentor can cause such positive results». «40 people attend the conference where they discuss 21 topics. 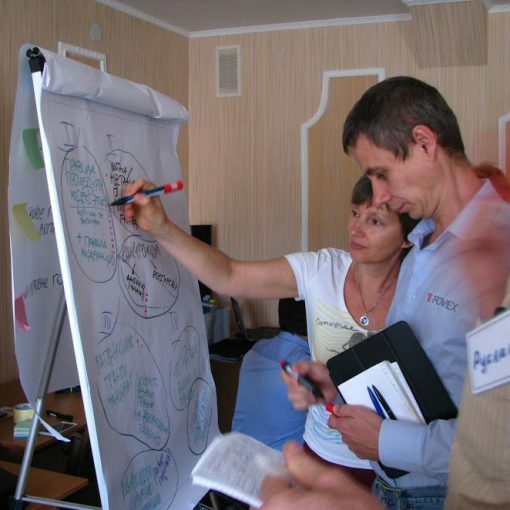 Such quantity of topics says that the participants have desire for changes in situation of Ukraine. 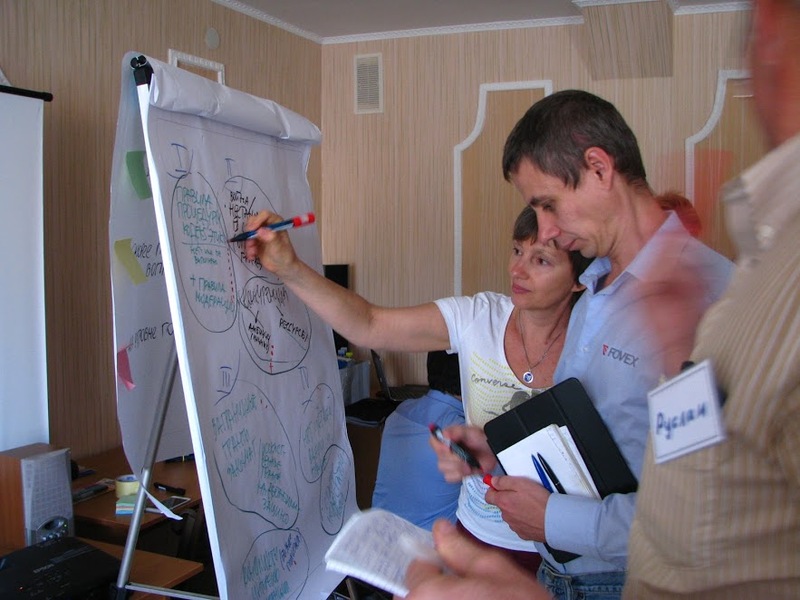 And the open space is like a «bicycle» which participants use to move faster towards the actions and knowledge», – Jo Toepfer, the organizational development expert and the facilitator with huge experience, noted. All the materials created by the participants formed a book which will help communities to implement the projects. National conference «Social transformations in Ukraine: information and tools required for conscious actions» is organized by GURT in a partnership with The East-West Management Institute (Germany) and with a financial support of The Media Development Fund, U.S. Embassy in Ukraine.